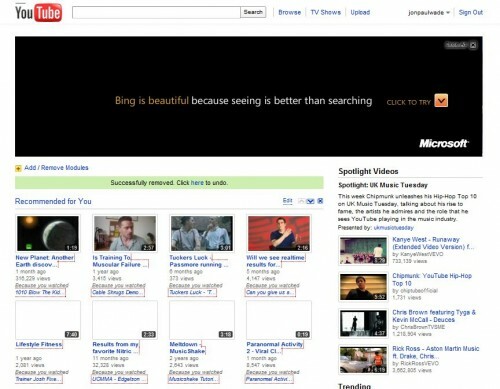 Was looking at YouTube earlier and spotted (it was hard to miss) a giant banner advert from Microsoft’s Bing. Not really much else to say. Other than it is a bit funny how the Internet works. It does seem a bit like walking into a branch of Barclays Bank to see a giant advert for Lloyds Bank above the cashiers. 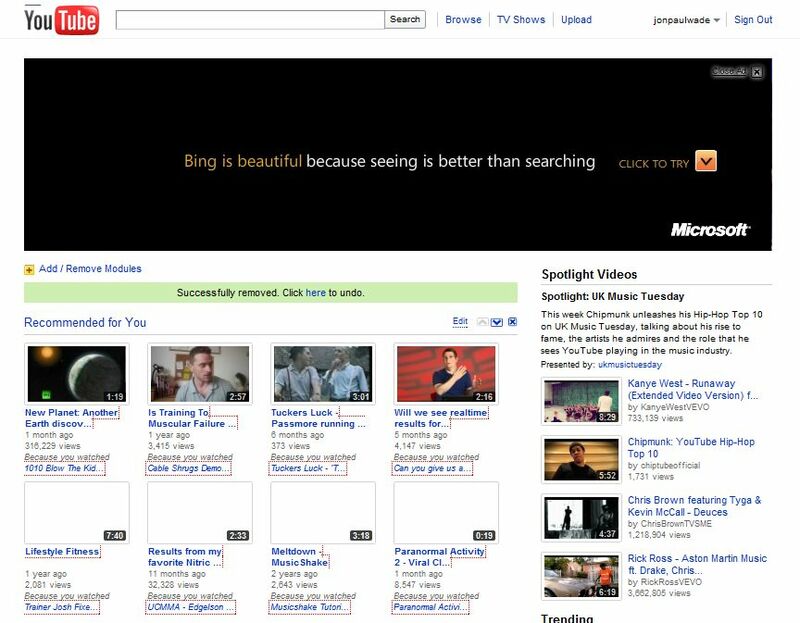 I wonder how much Bing have to pay YouTube for that banner to run across the site? Must be millions.